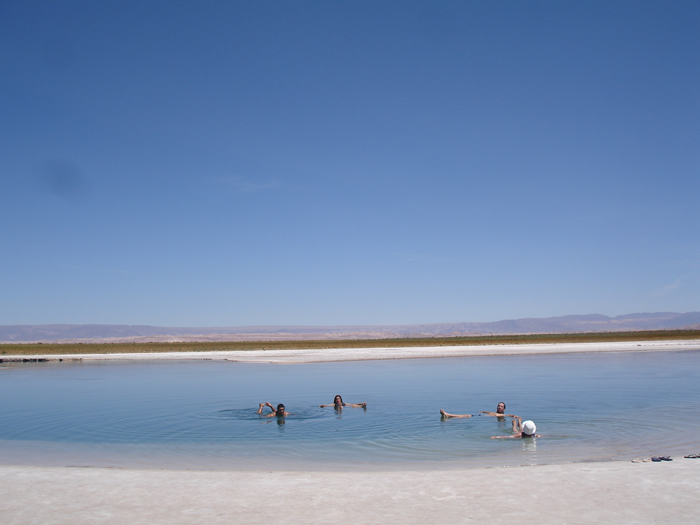 The Laguna Cejar is a small salt lake in the middle of a desert landscape, located 30km/19mi north of San Pedro de Atacama. The water is a searing blue, while the edge of the lagoon is decorated by a white salt crust. 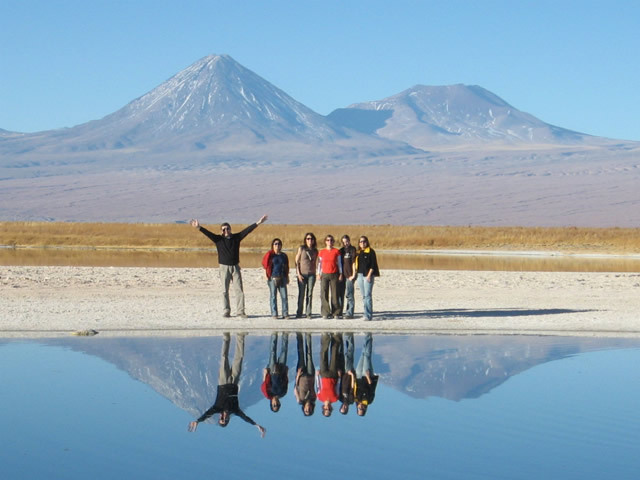 Due to the high salinity of the water, it is not only possible to swim here, but also to effortlessly float in the water while enjoying the breath-taking view of the setting, which is dominated by the outline of the Licancabur volcano and the surrounding desert. In many places, the water reaches very pleasant temperatures due to warm springs rising from the bottom of the lake. After bathing, a stroll around the lagoon suggests itself, where many species of birds can be observed and, with a little luck, you can watch flamingos in their natural habitat. Afterwards, you are driven back to San Pedro.